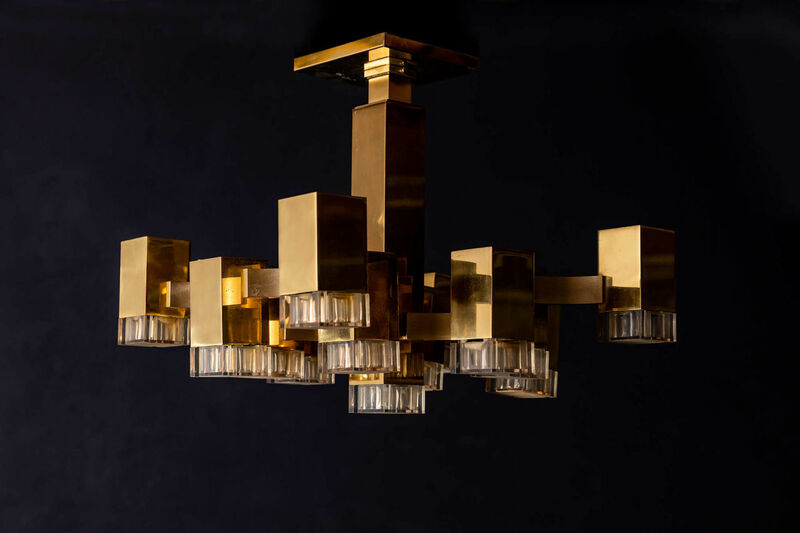 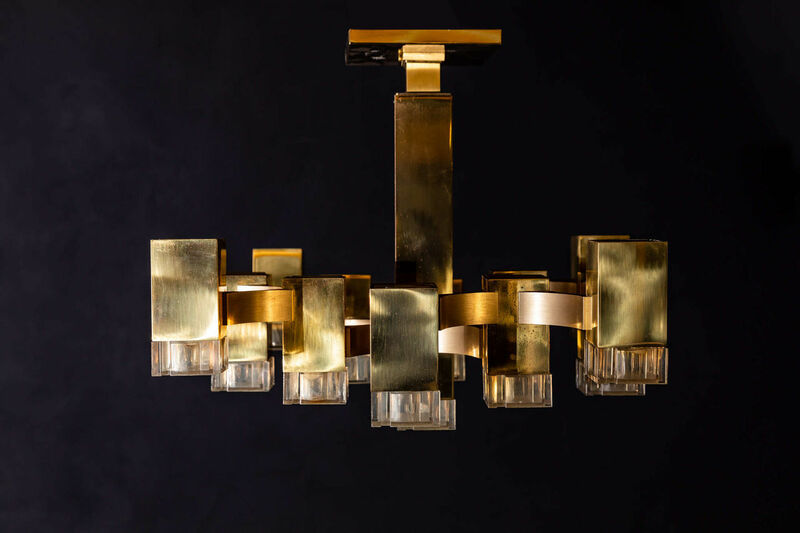 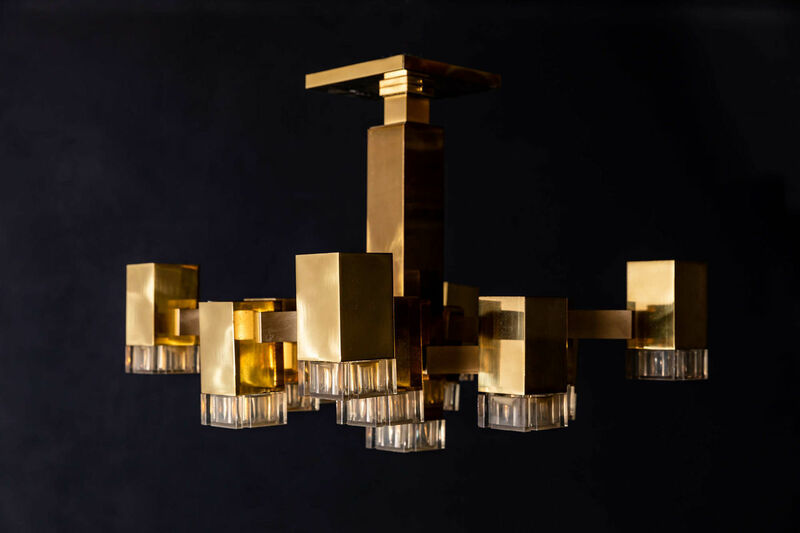 Italian, 13 Cubic Chandelier by Gaetano Sciolari, 1970s | Castorina & Co.
Mid-Century Modern Cubic chandelier designed by Gaetano Sciolari. 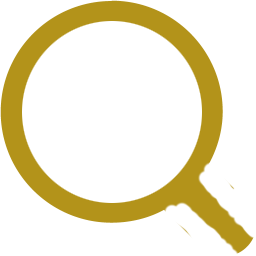 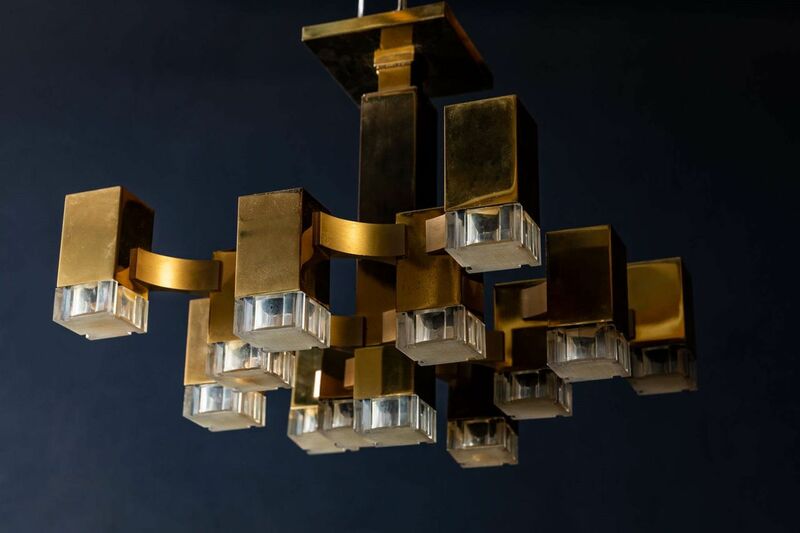 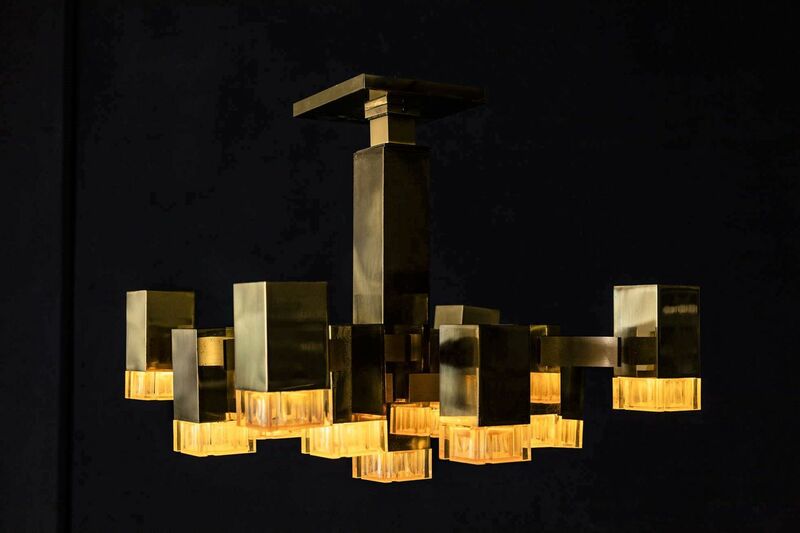 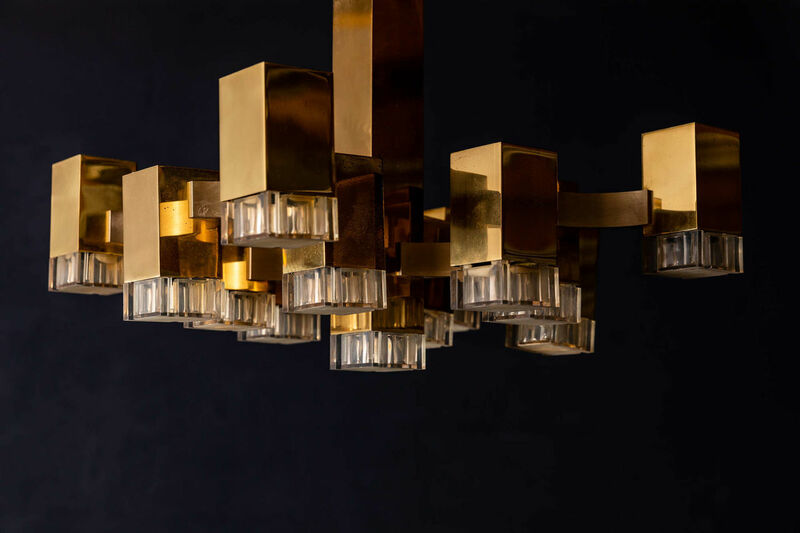 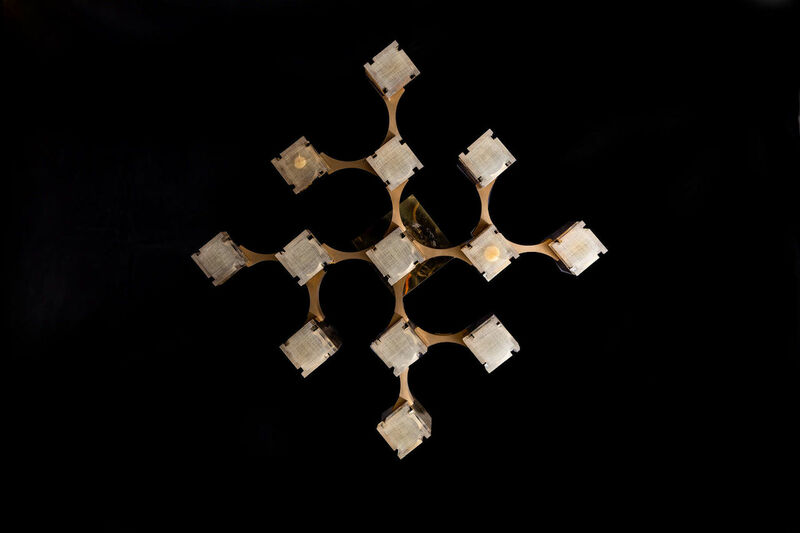 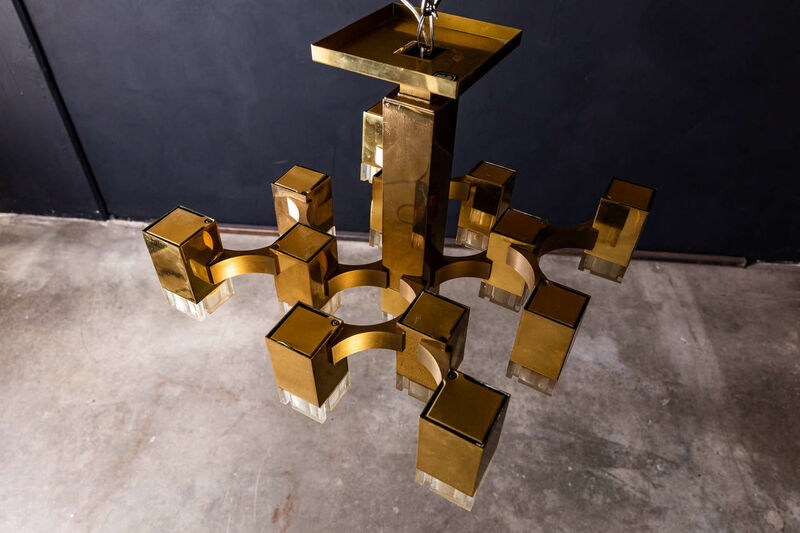 This chandelier consists of 13 rectangular polished brass cubes with Lucite shades. 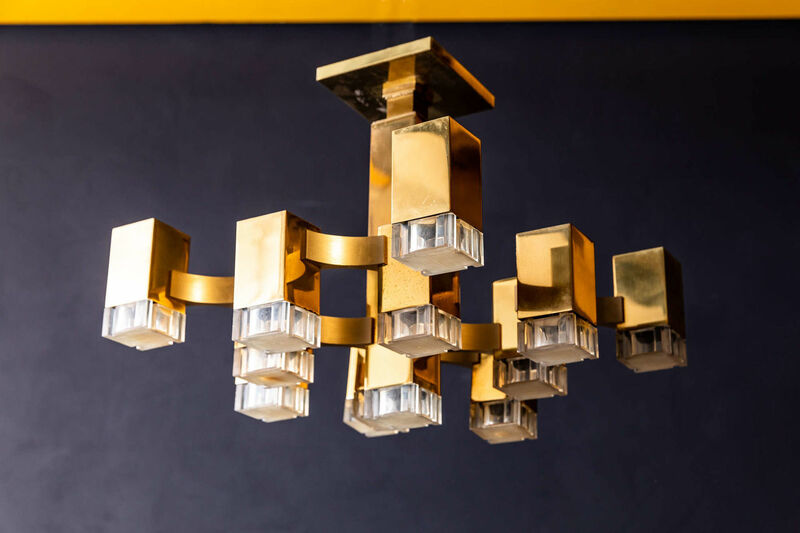 The hanging chain can be adjusted to suit, and the original ceiling cap is included. 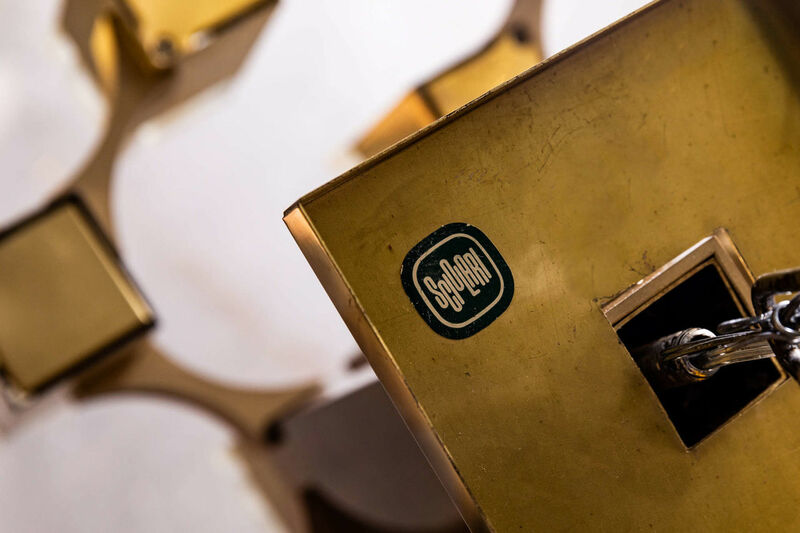 Labelled on inside of ceiling cap - Cubic by Lightolier, Made in Italy.